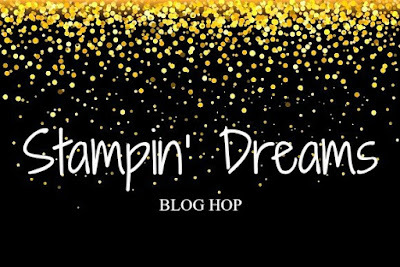 Thank you for joining us for the monthly Stampin' Dreams Blog Hop. 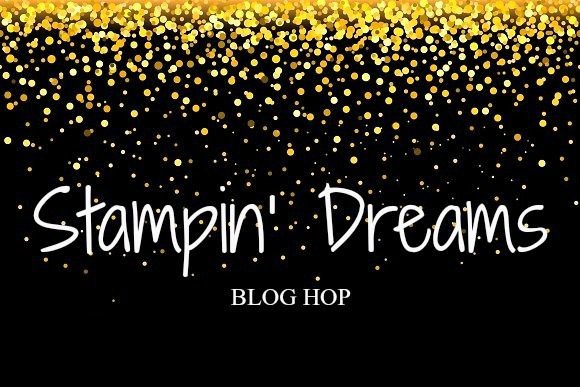 If you blog regularly & would like to participate in future hops with me & the gang, please join our Facebook Group. Today we are doing Something Different! The gorgeous Sandra Mastello joked that would be a clean craft room - I hear you, sister! Haha! Don't we all? 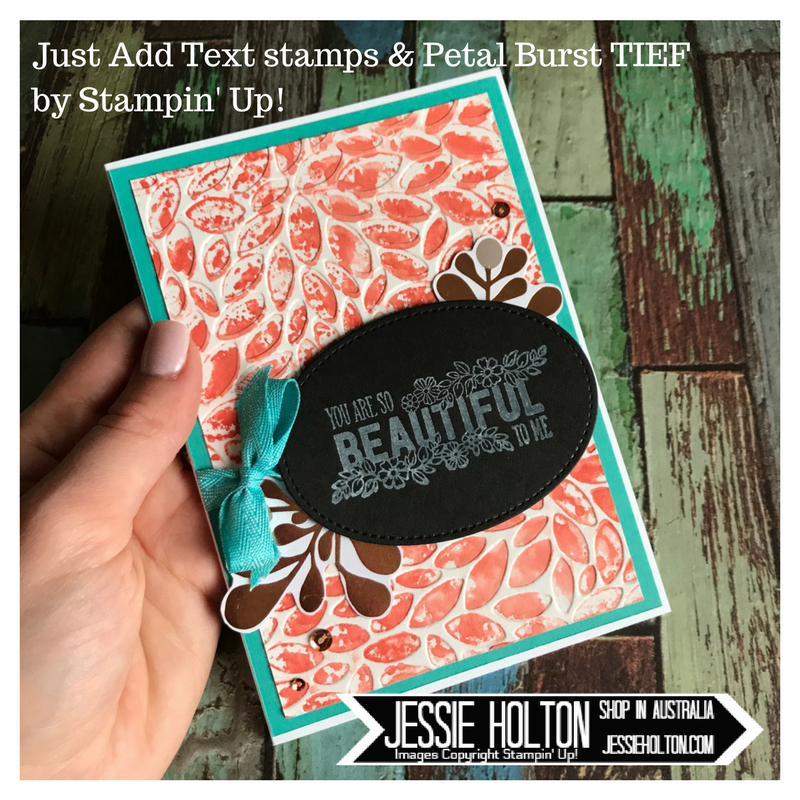 My something different is adding ink to the embossing folders for a really fun look. I made these backgrounds in a live tutorial on my VIP Facebook page a while back, but I've never used them.... until now! I have teamed both of these cards with the Just Add Text Stamp set. I have used White Craft Ink on Basic Black cardstock & die cut with the largest Oval die from the Stitched Shapes Dies. I have used a Thick Whisper White cardstock base, a Bermuda Bay layer & Bermuda Bay Chevron Ribbon with some Metallics Assortment Sequins. 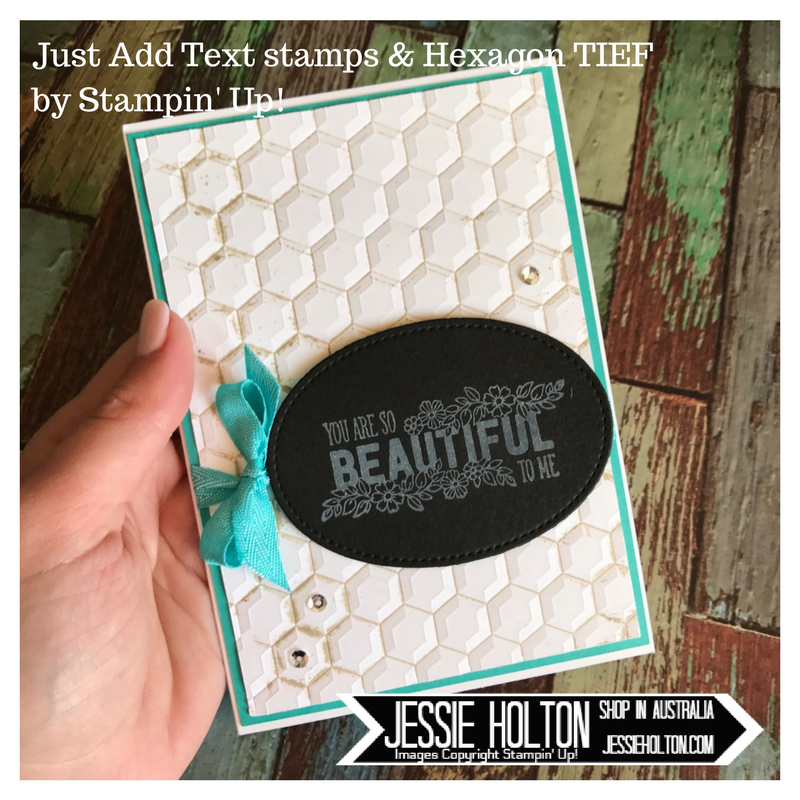 For this first card, I have used the Hexagon Embossing Folder with a little Sahara Sand ink, Whisper White cardstock & some Silver Sequins. For this second card, I have used Calypso Coral on the Petal Burst Embossing folder, spritzed with water on Shimmery White cardstock & Copper Sequins. I have also added a few of the Copper twigs I had previously fussy cut for my Holiday Catalog Mash Up Card - this is from the Year of Cheer DSP. I'm really happy with how these have turned out & will definitely be making more of these backgrounds. Check out the rest of the crew here. You don't want to miss any!